Rising at dawn at this time of year gives you the chance to experience one of nature’s wonders. 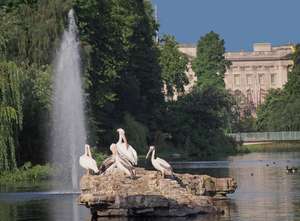 In the city centre, Hyde Park is alive with birdsong as spring is in full swing and birds greet the day. Blackbirds, wrens, chaffinches, robins, goldfinches, dunnocks, blackcaps and thrushes will join together in full-throated song. Join our team from The LookOut Discovery Centre for a walk through the park’s wooded areas, then sip at a tea or coffee in our beautiful, private garden just as London begins to wake.